We had just gotten out of a meeting with our lead investor. After reviewing our progress for the last few months, something wasn’t right. We were trying to build a way to help mobile developers better market their apps so they wouldn’t disappear in the App Store but after looking at our data, it was clear — we were missing the mark. Although we had over 15,000 app developers signed on, what we were building wasn’t the solution to the real problem in app discovery. We ended up spending the next week re-thinking everything we thought was true, resulting in one of the most stressful times in our company’s life. After peeling back the layers of our company, we realized that no amount of marketing can save a poorly constructed app. To solve this, we needed to find a way to help people create better quality mobile products, increasing their chances for success. We decided the best way would be to invite the best mobile talent and then match them with projects they were interested in. From our past experience working as independent designers and developers, we knew it would be important to ensure a standard of quality for the projects that would come through our system. The best designers and developers don’t want to deal with crummy work that has a poor budget — this undervalues the work they do. We manually contacted the best developers/designers we knew, with the promise of delivering a stream of high quality, paid projects. If they didn’t like the work, they could unsubscribe. We then asked our original ooomf members what development or design help they needed with their current mobile projects. 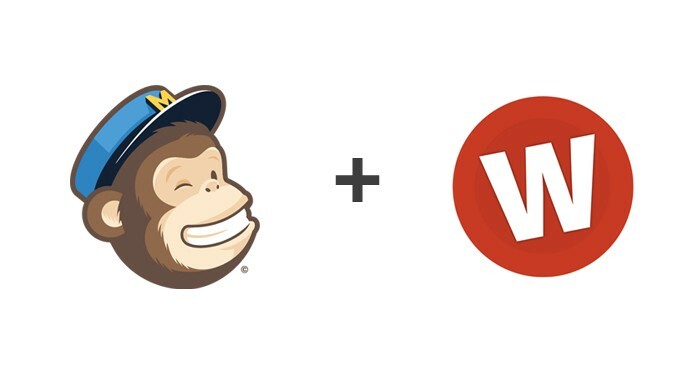 Rather than creating a fully featured marketplace with portfolios, ratings, or even accounts, we used a Wufoo form to accept projects and a Mailchimp email newsletter to send the projects out. 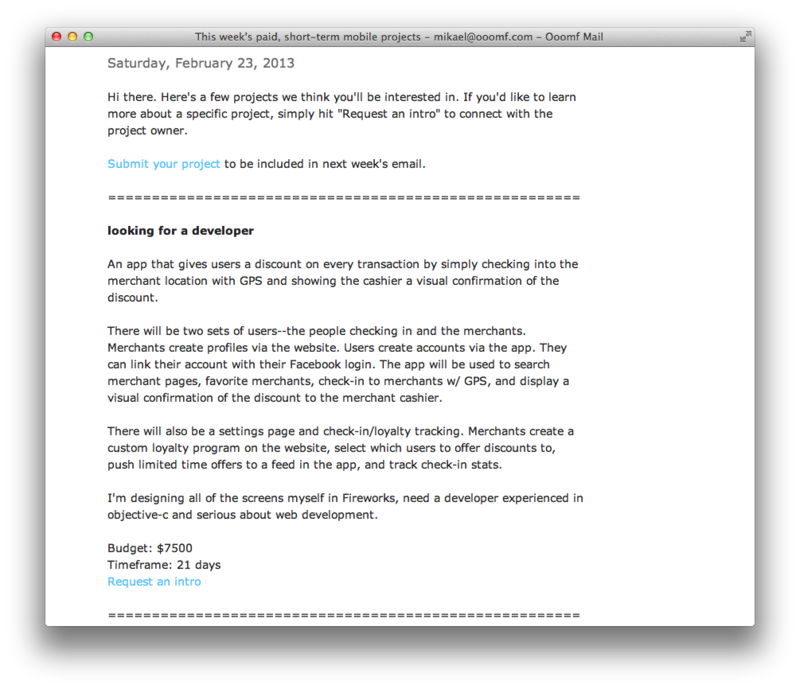 The first week, we signed up 200 developers and designers and ran $15k worth of projects through our system. The average project budget was $2k and each one matched within 72 hours. We used this as a benchmark for measuring our future progress. 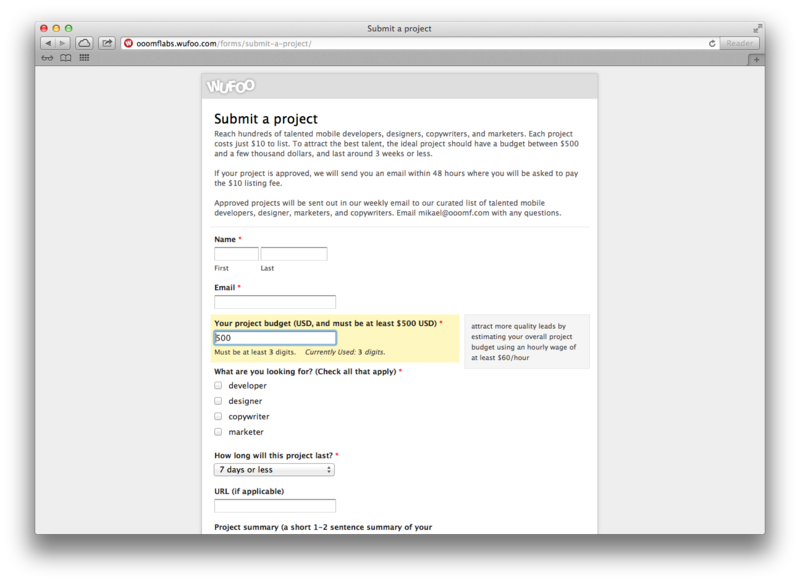 The manual work of the Wufoo form started to take up too much time to manage, so we made things easier by building a form into our website and provided tips to estimate a budget along the way (these were tips that I would previously tell a project owner about by Skype or email). Everything behind the scenes was still mostly manual, but we started to replace the most pressing issues with technology. By our first month, we had reached $125k in projects, and 99 percent of projects matched within 48 hours. The average project budget had increased to almost $4k. These initial signals showed us we were on to something. We knew our business model had to be a commission percentage from each project to achieve long-term growth. Again, rather than going out and building a complex payment system which could take weeks, we thought of an alternative solution using Wufoo’s Stripe payment form. Without building any technology, we were able to accept multiple project deposits and run over $25k in processed payments through our system. Because we were doing most of the work manually, we knew what worked and what didn’t for our customers. We layered more and more important features on to our product, knowing exactly what the biggest holes in the system were and what needed to be built. We’ve now approved over $700k worth of projects in the last five months and our rate of accepted projects has been growing at an average of almost 30 percent monthly. Sometimes when you think up an idea you immediately picture a vision of what the final product will look like - there’s going to be a wall, chat, portfolios, and more. This can sometimes paralyze you from starting because the task seems so daunting, you begin to think that you’ll need to hire more people or raise funding to get this done. Instead, my advice is to start. Don’t wait for everything to be perfectly figured out. If you start, you’re already 90 percent ahead of the game and you’d be surprised how far you can get. Thanks to Ryan Hoover, Crew, Luke Chesser, and Angus Woodman.